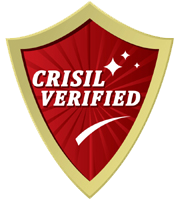 successfully forayed in markets like Latin America with strong presence in Brazil, Mexico, Argentina and in Europe Portugal, C.I.S. Countries like Ukraine and Belarus. Eastman created an outsourcing network at Hangzhou, China in 2002. Globally, Eastman has been growing in the era of stiff competition. Eastman continues to grow with steady and stable annual growth rate, Eastman’s turnover has maintained continuous double digit growth rate over the past decades.